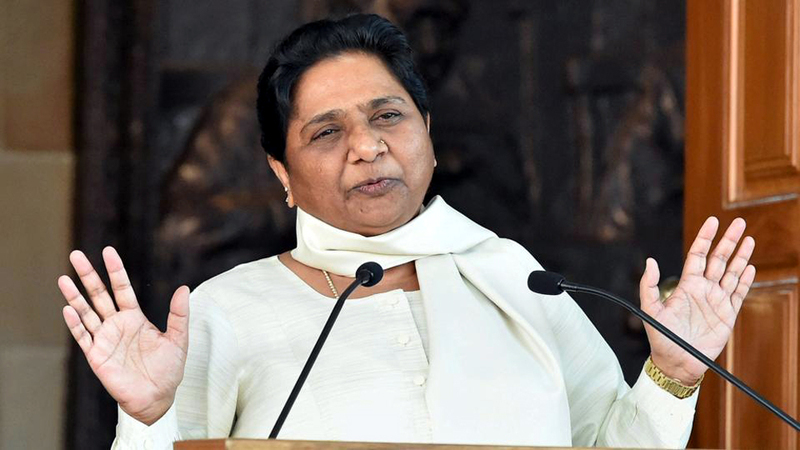 LUCKNOW/NEW DELHI, Mar 20: BSP chief Mayawati today announced she will not contest the upcoming Lok Sabha polls but hinted she could still be in the running for the prime minister’s post. supporters in Uttar Pradesh have pitched her for the position. “In view of the present circumstances and the need of the country and the interests of the party, the movement and the public, it is the need of the hour that I do not contest the Lok Sabha polls, she said. But she told party workers to not get disheartened with her decision. “When I became the UP Chief Minister the first time in 1995, I was not a member of either the UP Assembly or the Council,”she said. “It is a similar provision at the Centre, where a person has to become a Lok Sabha or a Rajya Sabha member within six months of holding office of a minister or the prime minister, she added. “Don’t get disheartened by my decision to not contest the Lok Sabha polls now,” Mayawati tweeted. Hours after her statement, the Congress said it would not comment on the decision of the leader of another party. But spokesperson Randeep Surjewala predicted that the next government will be formed under the leadership of the Congress, which will bring other opposition parties together. Mayawati claimed she was not contesting the May-April polls in the interest of the party. “If it so happens that I have to get elected to the Lok Sabha later, I can contest from any seat by getting it vacated and becoming an MP. I will not face any problem,” she said. “Hence, winning each and every Lok Sabha seat is more important than my personal victory,” she added.